The Frisbie's name is a spin-off from a defunct Connecticut bakery, Frisbie Pie Company. New England college students often tossed empty pie tins around for fun, a habit that led them to refer to the round platter as a "frisbie" and soon after Frisbie Golf began to be popular - especially on college campuses. As the game evolved the name frisbie golf morphed into "Disc" Golf. Iolans have a new pastime to enjoy as a disc golf course has currently been constructed on South Washington Avenue. It is in condition to be played, but the PRIDE group will be doing more work to it to beautify the course! The Community Involvement Task Force (CITF) a Kansas State PRIDE group, received a $25,000 grant from the Healthcare Foundation of Greater Kansas City to help make the course a reality for the Iola community. After the flood in 2007 the city was left with vacated land near Elm Creek. CITF/PRIDE wanted to utilize the land in the best way possible for the community. Disc golf is similar to golf in theory. Instead of using a golf ball and a club, participants use discs. 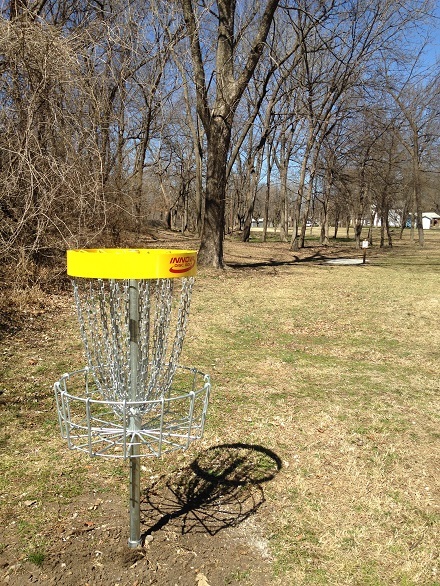 The goal is to land the discs in baskets scattered around a course. Discs have different weights and are used like clubs: drivers, putters, wedges and can be played by people of all ages. CITF/PRIDE knew there were a lot of people in town who already love the game, and also wanted to give the college kids something to do in their free time. The group secured the grant and the City of Iola crews helped pour concrete tee pads for the disc baskets. It is a nine hole course that starts in Elm Creek Park North and will be on both sides of Washington Avenue. Watch your throw! 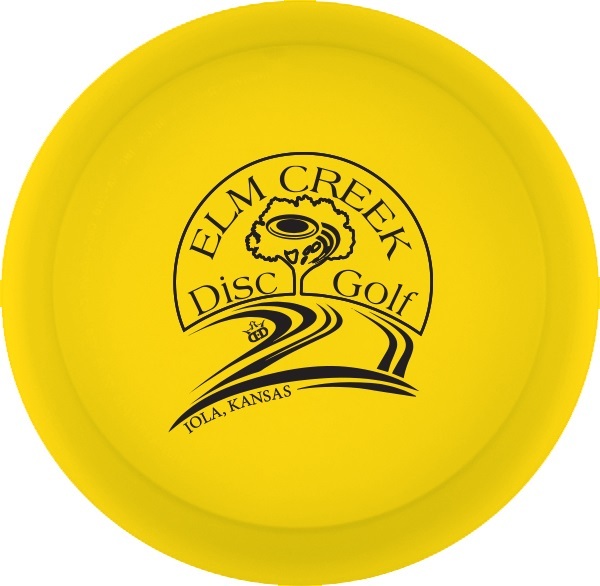 You don't want your disc to land in Elm Creek! CITF/PRIDE plans to work with the Iola Recreation Center and after school groups like SAFE BASE to teach people how to play. 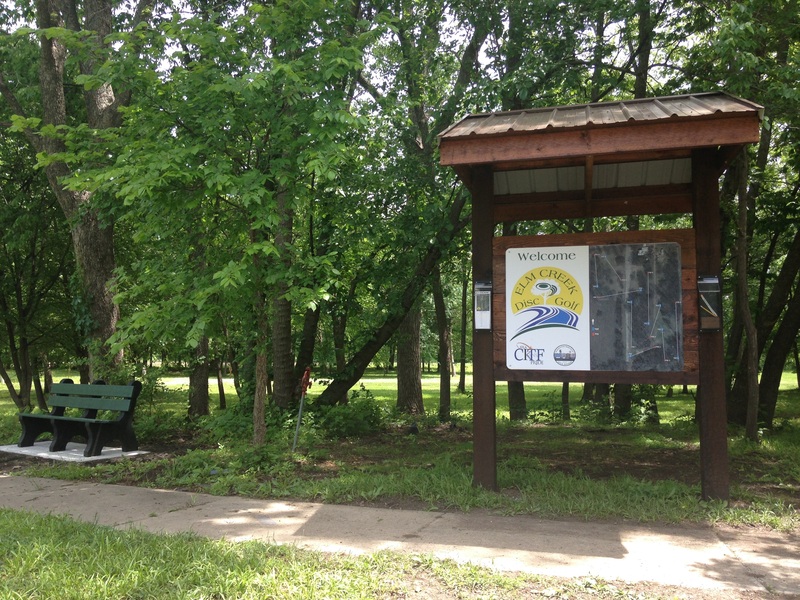 Take a drive and see if YOU can find the Elm Creek Disc Golf Course! Once you do - stop and play!